Fantasy games really are the best and this is just another cracker from Eyecon Gaming when there are princes and princesses involved it always sets the mood for something special and that’s no different here. An interactive video progressive jackpot game that leads on from the original normal slots game, this version gives punters the chance to win a whopping jackpot that is fit for a prince! The game tells the story of a once, long time ago prince and how he became a frog whose habitat resides within the castle grounds whereby the beautiful princess and her father live alone now due to her late mother, the Queen. The princess one day had head down to the pond, a place she is most fond of as it brings her peace for somewhere to shed her tears. The Frog had noticed the distress of the princess and consoled her to which he explained that he too was once royal and had been turned into a frog by an evil witch many moons ago. He explained the only way he could reverse the spell was to receive a kiss from the princess herself, the princess ran in horror from the frog back to the castle but what the frog said to her continued to play on her mind. Will the Princess help the frog? 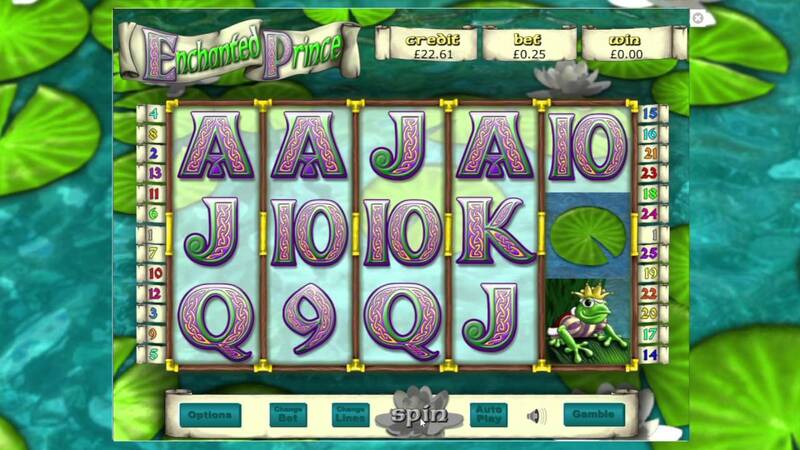 Eyecon are renowned for producing fantastic fantasy games and Enchanted Prince Jackpot falls into that category. Eyecon has been in the game for many years now and have had an absolute shed load of success due to their efficient and high-quality gameplay that continues to pour out in the variety of games that they produce on a regular basis. Eyecons team have a wealth of experience that is invaluable, meaning that every game they produce is worth a go as they continue to dominate the slots jackpot market with tried and tested content designed specifically to meet the standards of all slots lovers out there. In this game, you are given the big decision of deciding who you want to be, the elegant princess or the caring frog. So, who will you choose? In the game, you’ll have your opportunity before your selection to choose your credits to stake this ranges from 1, 2, 3, 5, 8, 10, 15, or 20. 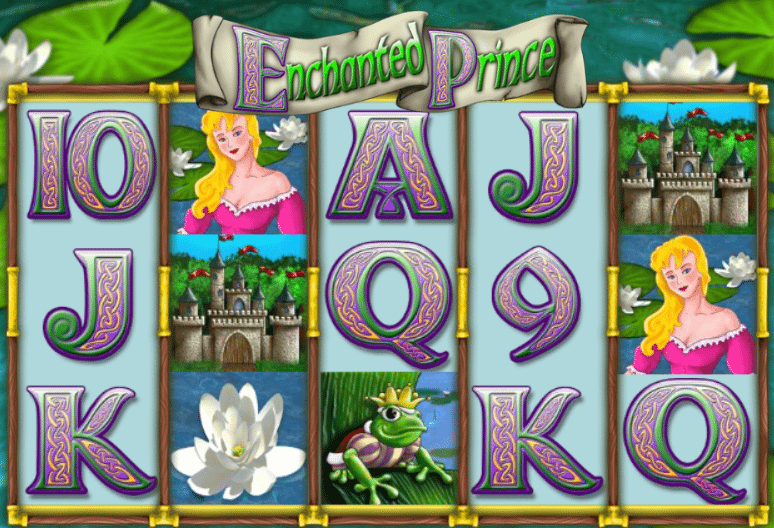 Enchanted Prince Jackpot gives you the option of picking the amount of lines for 1 to 25 you can do this by clicking the up and down buttons. An auto-play feature is also available in this game whereby you can select either 10, 20, 50 or 100 games to spin, not even at the click of a button. The King's crown is the wild symbol in this game to keep an eye out for, the King's crown substitutes all symbols apart from the scattered frog symbols of course. The wild doubles all prizes! If 2, 3, 4, or 5 show up you could be awarded 50, 10, 5 or 2 times your total stake. The Frog has the power to reward you with free games, with free spins able to generate for a maximum of 15 times when you play. 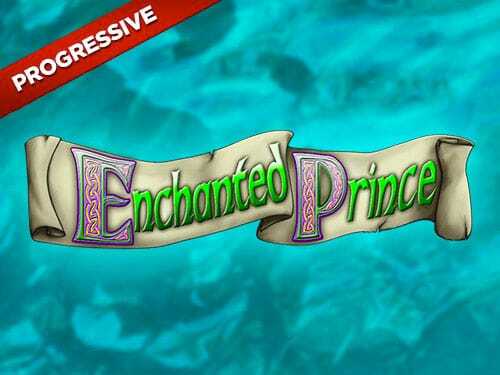 A classic fantasy game by Eyecon that portrays the typical romance of prince and princesses, a progressive Jackpot with a theme like this is always a big hit with players. It offers mystery, both happy and sadness.